Asperger Works, Inc. seeks a part-time Video and Digital Marketing Volunteer to join our small but enthusiastic team. This position is responsible for a full-range of entry-level activities related to marketing and communications. This position will provide the volunteer with invaluable content creation skills and education in how to strategically market to a social following. Asperger Works is a non-profit organization that works with youth and adults with Asperger’s Syndrome with employment issues, providing them with job coaching and ongoing mentoring. Additionally, we provide employer education about Asperger’s Syndrome in general and the desirability of employing adults and youth with Asperger’s in particular. Asperger Works offers year-round programs to meet our mission of finding appropriate employment opportunities for our clients. NOTE: Although listed as a volunteer position, we are very open to receiving applications from anyone who wants to intern with us, can commit to a certain number of hours, and has the right qualifications and background. Assist with other communication projects as requested. The above job description and qualifications are not meant to be all-inclusive. Additional responsibilities and qualifications may be added as needed by the volunteer’s direct supervisor or the Executive Director. 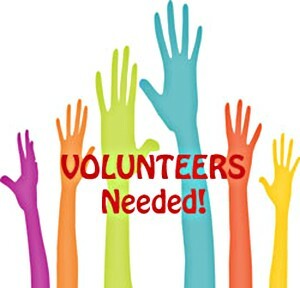 Please send resume and cover letter to Volunteer.Coordinator@aspergerworks.org. Asperger Works, Inc. values diversity and is committed to being an equal opportunity employer. Candidates from all backgrounds, including people with disabilities, are encouraged to apply. Please contact us directly with questions that may arise throughout the application process, including but not limited to inquiries related to accommodation needs.